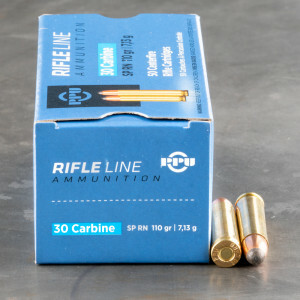 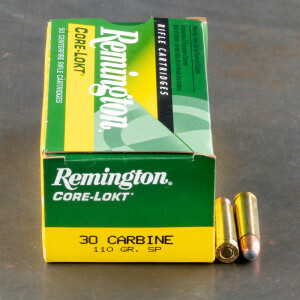 30 carbine ammo is a light rifle round (later developed for pistol shooters as well) that is commonly used by M1 carbine shooters. 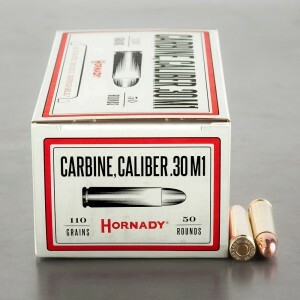 Weighing it at about half the load of the standard M1 Garand, 30 carbine was developed as a cartridge for military units who needed more firepower than their military sidearms could offer but without the weight of heavier rifle ammo. 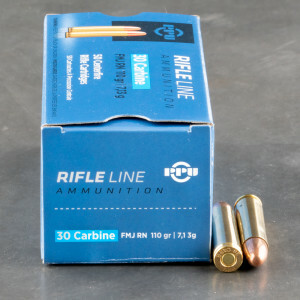 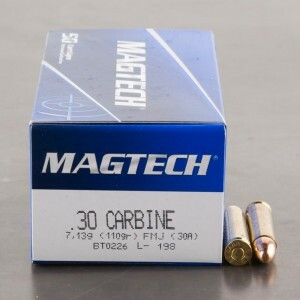 Look for 30 carbine ammunition with a projectile of 110-grain with full metal jacket (FMJ) bullets dominating the world of commercially available loads. 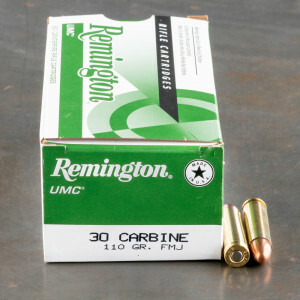 From the barrel, you'll get velocity of about 1,990 feet per second and a corresponding muzzle energy of about 970 foot-pounds. 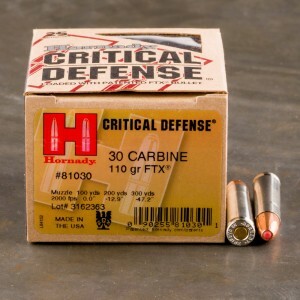 Look for 30 carbine ammo for sale from Prvi Partizan, Aguila and Hornady. 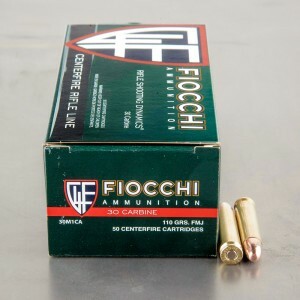 Ammo arrived on time and in good condition. 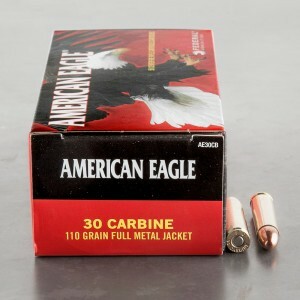 I will order from AmmoToGo again. 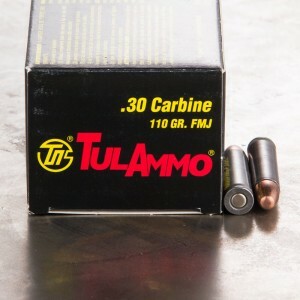 I wish you would ship to Hawaii.